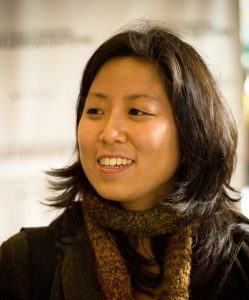 Grace Lee directed the Peabody-award winning documentary American Revolutionary: The Evolution of Grace Lee Boggs, which The Hollywood Reporter called ”an entertainingly revealing portrait of the power of a single individual to effect change.” The film won six festival audience awards before its broadcast on the PBS series POV. Most recently she produced and directed the Emmy-nominated PBS: MAKERS: Women in Politics and Off the Menu: Asian America. Other directing credits include the feature film Janeane from Des Moines, which premiered at the 2012 Toronto Film Festival, American Zombie, which premiered at Slamdance and is distributed by Cinema Libre and The Grace Lee Project, a documentary that aired on Sundance Channel. Grace was a 2016 Women at Sundance fellow and is currently one of five Chicken and Egg Breakthrough Filmmaker awardees.